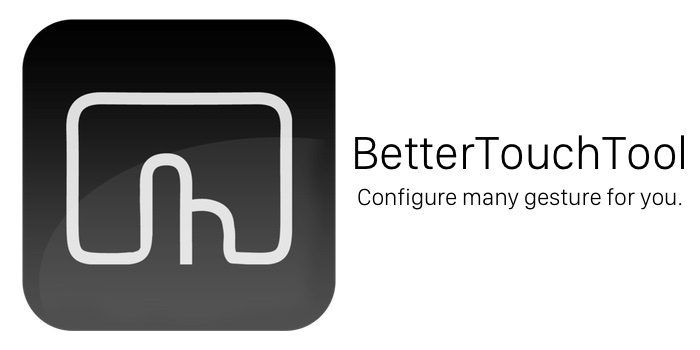 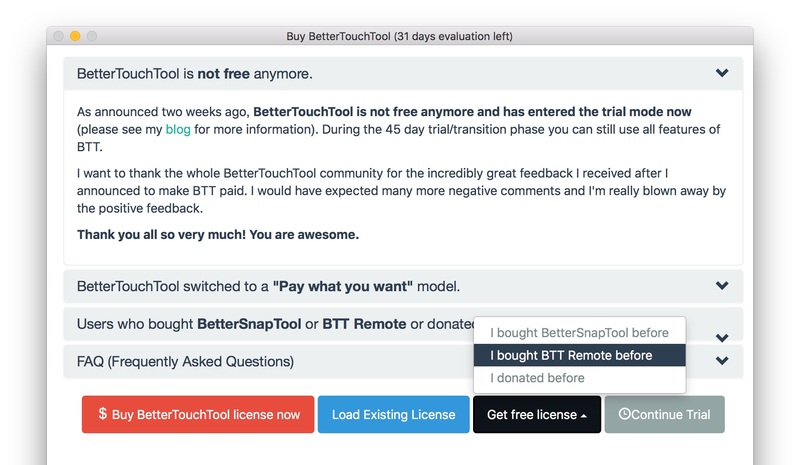 Macの入力機能拡張アプリ「BetterTouchTool」がアップデートし有料化。「BetterSnapTool」やiOSアプリ「BTT Remote Pro」購入者は無料で利用可能。 | AAPL Ch. 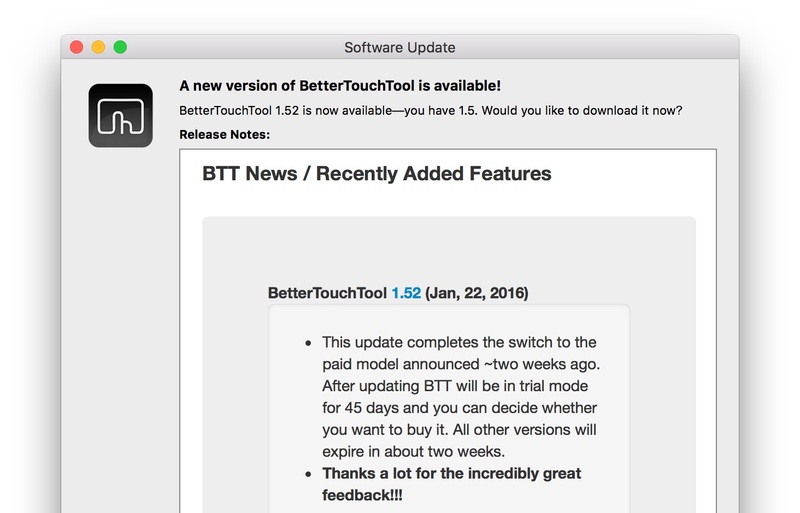 This update completes the switch to the paid model announced ~two weeks ago. After updating BTT will be in trial mode for 45 days and you can decide whether you want to buy in. 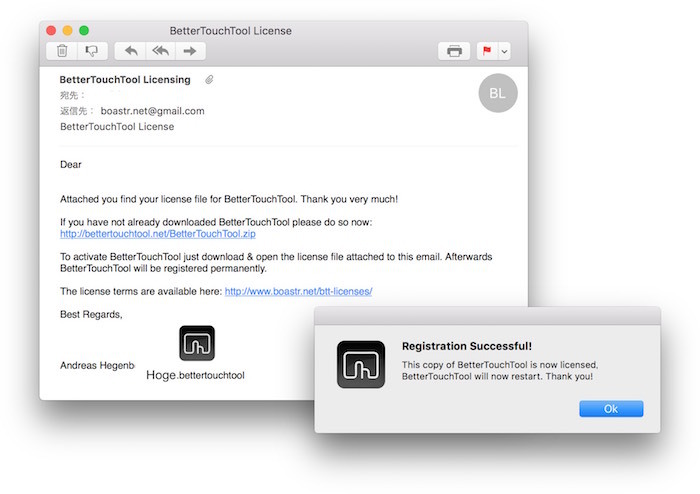 All other versions will expire in about two weeks.